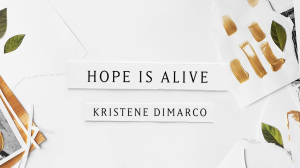 Hope Is Alive Today inspired by Kristene DiMarco “Where His Light Was” custom arranged in the key of G for solo (alto), small orchestra (full strings), choir SATB, brass quintet and percussion. Brass parts include: trumpet, trumpet 2 or alto sax, horn or tenor sax, trombone, tuba or baritone sax. This has a neo classical feel to it. This is a great Easter Song. Be sure to listen to the midi audio of this arrangement keeping in mind it does not have the rhythm parts or vocal lyrics, but it should give you an idea of the arrangement.